The retail world is filled with cookie cutter style shops. 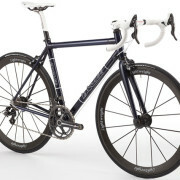 Veloworx is a cut above. You get high quality brands with a proven track record. There are 30 years of cycling knowledge behind our doors! Everything from fit and training advice to equipment choice, plus full repair and service for any bicycle. Grab a coffee and let’s talk shop! At Felt, our mission remains as it’s been since the beginning: to design, develop and deliver the best bicycles in the world. Period. The roots of this mission trace back more than two decades. It all started in the late 1980s when motocross star Johnny O’Mara asked his ace motorcycle mechanic Jim Felt to build him a time trial bike. Johnny was competing in triathlons as training for motocross. A competitive age-group triathlete himself, Jim had a distinct vision of how he could improve on the designs of the time. He focused on optimizing rider position to maximize aerodynamic efficiency. It worked. Johnny immediately started winning races, and before long Jim was building bikes for many of the world’s top triathletes. When Paula Newby-Fraser won the 1991 Kona Ironman on a Felt, Jim found himself officially in the bicycle business. Ten years after Jim Felt built that first triathlon bike, it was time to expand. Enter Bill Duehring and Michael Mullmann. Bill, a bike industry veteran, brought years of product development experience and strong global supplier ties. Michael owned a successful distribution company in Europe. It was the perfect melding of skills. 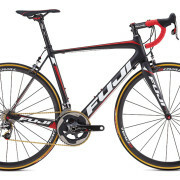 Felt now had more than 70 years of combined experience in developing, manufacturing and distributing high-quality bicycles. Jim brought his respected name, design experience and athlete relationships. Bill had broad-based product development knowledge and vendor connections. Michael had extensive experience in distribution and marketing. “We didn’t want to be the biggest bike company in the world, just the best” was the trio’s shared maxim. 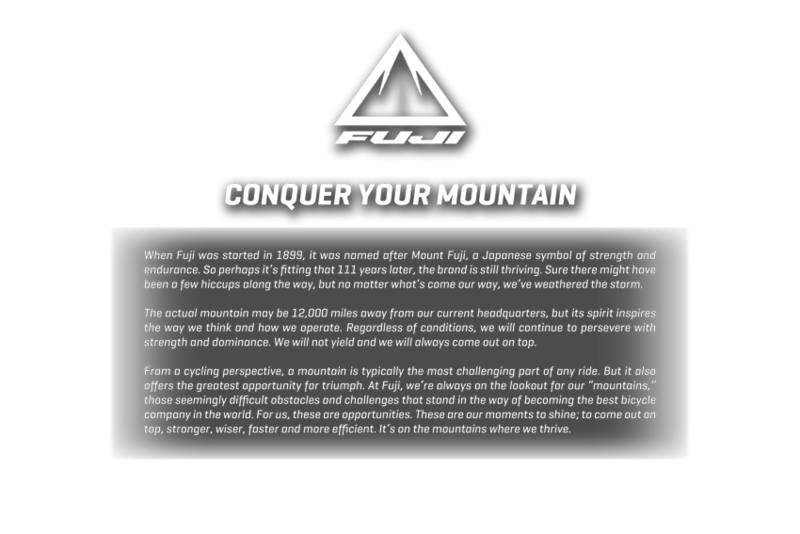 Together Jim, Bill and Michael developed a singular goal: to build a bicycle brand dedicated to technological innovation and unmatched quality. Since those fledgling days the Felt brand has grown far beyond its triathlon roots, and today includes a complete bike line that touches all of cycling’s various disciplines. Whether climbing the highest peaks of the Tour de France, bombing down single-track, racing your first triathlon, or commuting to work, Felt delivers a bike with uncompromised performance, maximum comfort and optimized efficiency. Custom hand-made and production carbon bicycle frames. Over the last decade, Parlee has pioneered a host of industry firsts: the first customizable carbon fiber racing frames; Flex Fit semi-custom geometry; and the first sub-800 gram carbon fiber frame are just a few. But unlike other manufacturers, who chase trends and invoke unnecessary styling into their bikes, Parlee’s technological developments follow a natural progression. By always thinking about how to make our bikes better, as a product driven company, Parlee has organically evolved, with each model seamlessly building on the success of its predecessor. While other manufactures continuously re-invent themselves not out of necessity, but as sales ploy, Parlee does not make change for change’s sake. 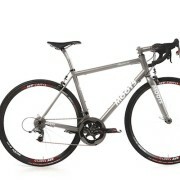 If you want a giant down tube, a box-shaped bottom bracket, or swoopy chainstays, look elsewhere. Parlee doesn’t traffic in superfluous stylings, for they do nothing for ride quality, and only add unnecessary bulk and weight. Instead Parlee focuses attention where attention matters: carbon fiber lay-up schedules and torsional tube design. By utilizing the correct shapes and tube densities, Parlee is able to reach cycling’s Holy Grail: the delicate balance between torsional stiffness and vertical compliance. Inventor of the clipless pedal, of the first carbon frame in 1986 and of the first track single-piece carbon frame, LOOK is the worldwide leader of the road clipless pedal. Its policy in the field of research and development earned it the INPI Trophy of the most innovative small and medium sized firms of France in 2009. 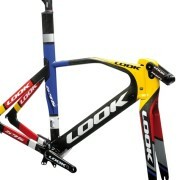 LOOK has also won 4 times the Bike of the Year award in France; it was several times awarded the Star of Design as well as the IF Design award in Germany in 2010. 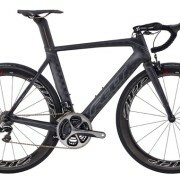 LOOK has an incomparable experience and know-how in carbon designing and manufacturing. An independent company, LOOK has its head office in Nevers, where all the designing and development of products takes place, and a production site. LOOK has a staff of around 420 people throughout the world today. We handcraft high-performance titanium bicycle frames and components in our factory in Steamboat Springs, CO.
Our goal is to build each customer the best-fitting, finest-riding bike they will ever own.